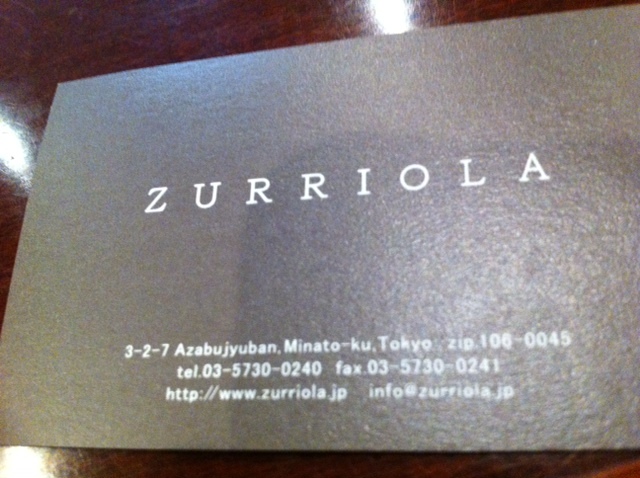 This past weekend we had occasion to go out to dinner with good friends to a great, new restaurant called Zurriola in the Azabu Juban neighborhood of Tokyo, which is right near our home. It’s Spanish food, but of course with a Japanese flair. The combination of flavors excited the palate in a way not often experienced. It has been given one Michelin star, and it’s no wonder. Each dish was more delicious and beautifully presented than the one before. The actual plates were beautiful and different. It hosts a fine wine list of mostly Spanish libations, and we were able to start with Cava, go to white wine and finish off with a spicy red wine that perfectly matched the flavors of the final courses. 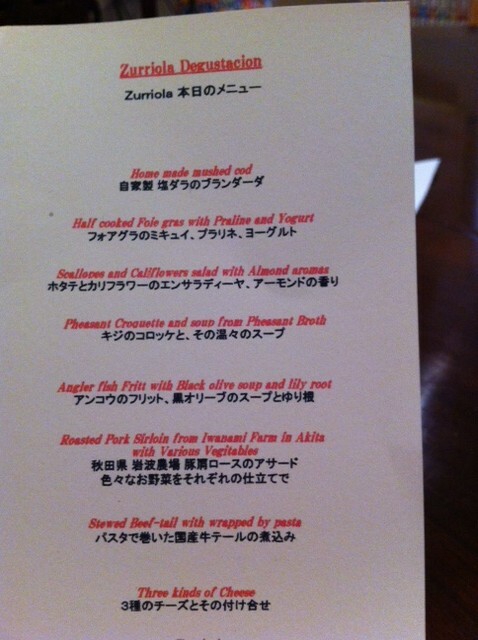 There is no a la carte at Zurriola, but the set is not horribly priced – for Tokyo. 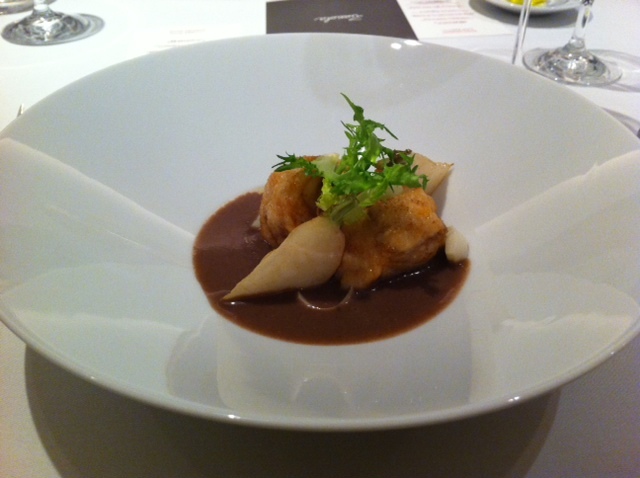 Each dish is so perfect that I cannot imagine what I would have removed to lessen the number of courses. Each dish was beautifully appointed and it was clear that a chef had taken the time to see to it personally so that the flavor fairly exploded as soon as it touched your lips. But not only that; the presentation was so lovely that for the first few courses, we just wanted to look at them for a while before eating them. After the first three or so, we realized how yummy each one would be and we just wanted to take that first, best bite. The atmosphere at Zurriola is cozy and intimate. We felt like we were getting personalized service. The decor is sort of nondescript, but the place was well-lit and warm. There were plants strategically placed to be welcoming. There is no way to pick a favorite among the eleven courses, so I’ve taken a photo of a few that I loved. You’ll just have to go there to see for yourself. 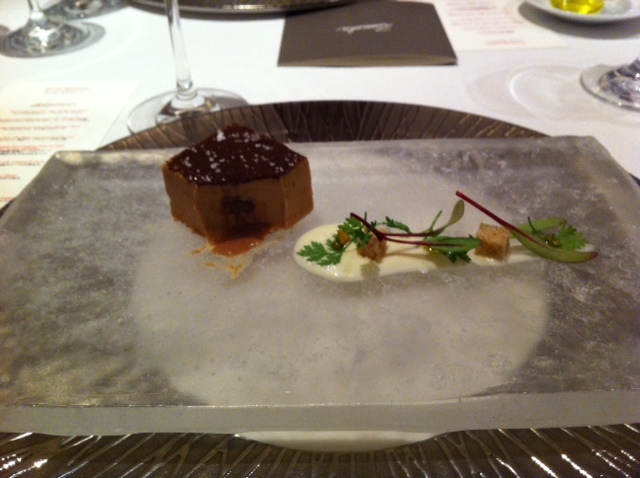 This decadent piece of heaven is foie gras with praline inside. Yes, praline. Hazelnut chocolate. The fish course, Angler fish, settled lightly in an olive soup. I do not care for olives, and I loved this dish. The slice of pork tenderloin was lovely, but the gently roasted and seasoned vegetables outshone the dish in this course. 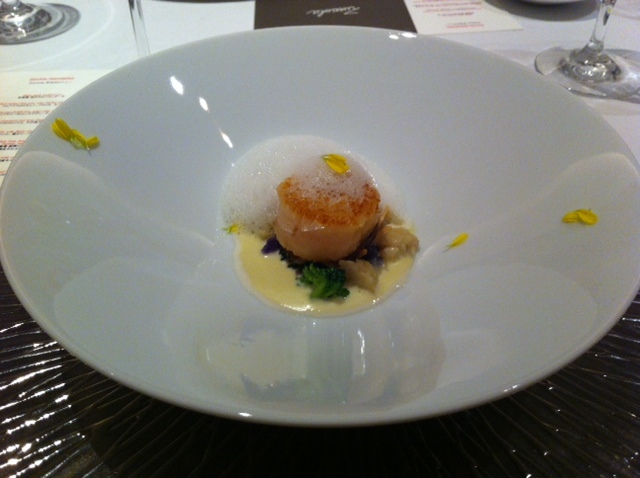 The tenderest, sweetest, most artfully prepared scallop I have ever eaten. That's a whipped almond puree on the side, by the way. 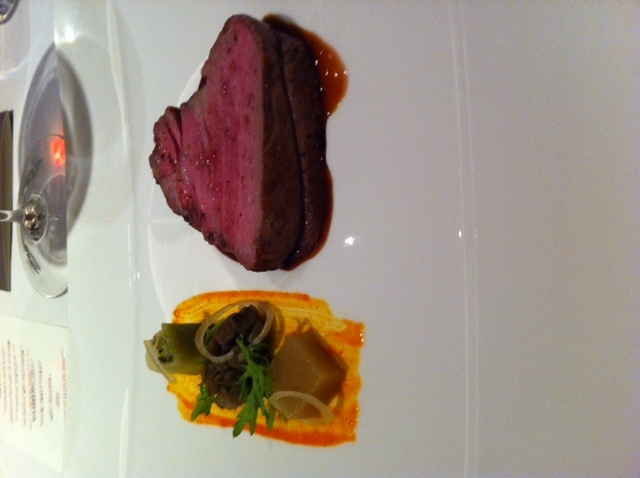 The beef course - beef tail, to be exact. 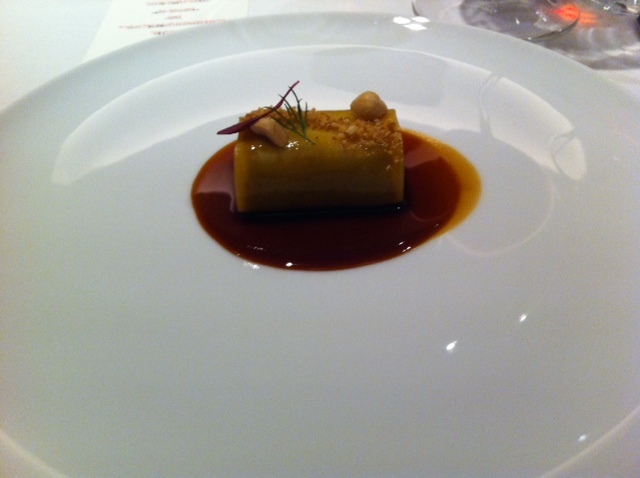 While it wasn't my favorite dish of the night, it was delicious and soft and succulent wrapped in its bit of pasta. No meal is complete without a bit of sweet and this is no exception. 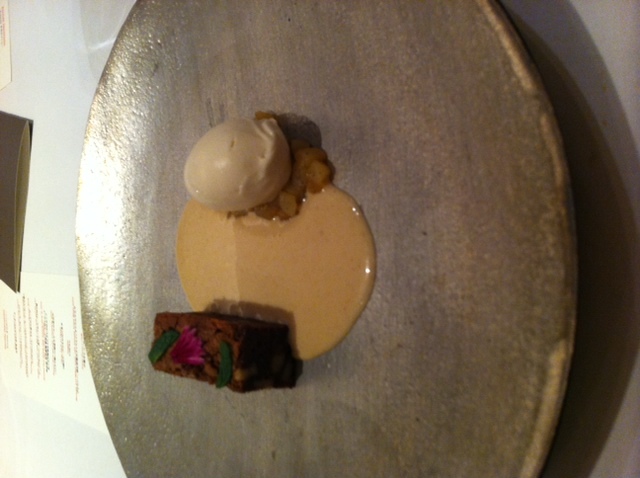 A light bit of brownie and ice cream with a Basque sauce. Scrumptious! Run don’t walk, to Zurriola.